Designed in Japan, this Shiroi Neko 3D glasses military cap has a great alternative look that you won?t find anywhere else. 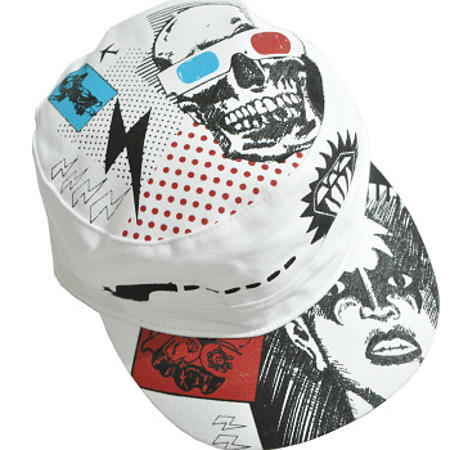 Covered in creative pop culture references, ranging from a skeleton with 3D glasses to lightning bolts and aeroplanes, this is a truly eye catching military style cap from an excellent designer brand.The Shiroi Nekoi 3D glasses military cap is made from quality materials and hand made in Thailand. A great way to give your style and edge, this military cap can be worn daily and also to any events you have planned this year. The shape is classic and the pop culture design makes this a funky addition to any outfit or style. 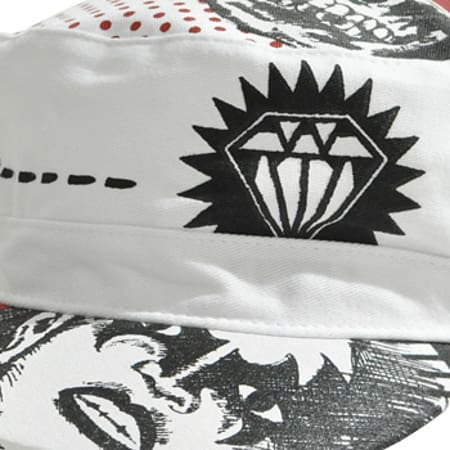 If you want to stand out from the crowd then this Shiroi Nekoi cap is a great way to really show how distinctive your taste is. Purchase your Shiroi Nekoi 3D glasses military cap from Blue Banana and you'll receive our service and delivery guarantee at no extra cost. This ensures that your designer headwear arrives to you in perfect condition and as quickly as possible through our swift delivery system. You won't see anything like it anywhere else so don't delay in getting your own Shiroi Nekoi military cap before someone else beats you to it! 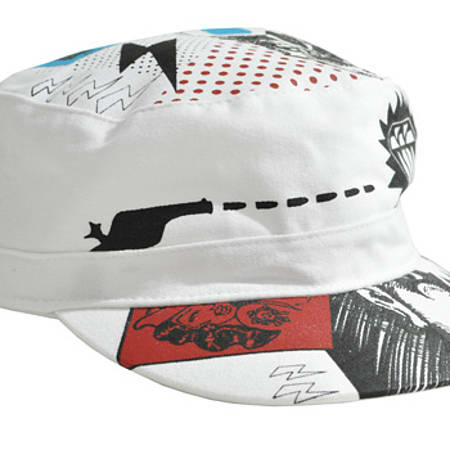 Features: Military style design, sun visor, printed design all over.